Last week I ran a half marathon race. Leading up to the race, I decided I was going to plan an overall strategy for the race in hopes of running my fastest time ever. This was my 3rd half marathon, and while I did just “OK” in one race, another one was a complete disaster. It was a disaster because of lack of setting a realistic goal pace and sticking to it (I slowed down dramatically the last few miles). So, in order to set my goal pace, I looked over all the training runs I had down over the past few months. This helped me determine that running a pace at 6:30 minute miles was not realistic, but 7:45 minute miles was. I also researched what other runners were able to accomplish based on their training plans. This planning and strategy gave me confidence that I could run a great race at the appropriate pace. On race morning, there is always a lot of adrenaline pumping at the start of a race which can cause runners to go out much too fast for the first couple of miles and then die out. However, I stuck to my pace and ended up running my fastest half marathon ever in 1 hour 40 minutes and 54 seconds (a 7 min 42 second pace)! Well, I think there are some lessons in regards to planning and strategy that can be applied to building links to your site, and in particular planning the anchor text that you will use. You see, too many people go out too strong in the race to build anchor text and absolutely kill themselves by using too much exact match anchor text early on. So, if the keyword you are trying to rank for is “dog training tips” and that exact keyword is all you use in your anchor text; your site will likely be just like the runners that go out too fast and then die at the end. Sure your site might get a quick bounce to the top of Google, but then after a few weeks it will get slapped down by the Google master and will never be seen again. The reason? Google Penguin was all about penalizing sites with poor link building strategies. This includes both links coming from low quality sites, but it also includes penalizing sites that overuse keyword anchor text. Penguin includes other factors as well, but today we will discuss new strategies for using anchor text. If you are a pure “white hat” when it comes to building links, well go ahead and pat yourself on the back. There is not a lot you can do to control anchor text if you have no control over the links pointing to your site. Other than asking sites to alter anchor text for you, or being ever cognizant of the link baits you send out (be aware of the anchor text it encourages), you don't need to worry about this topic too much. Anchor text is used, because it essentially tells Google that this site is related to this topic. So, if your keyword is “dog training tips” and the link pointing to your site has the anchor text as “dog training tips”, this is an added vote that tells Google the site should be ranked for “dog training tips”. That's why you want keyword anchor text. However, if a large portion of your anchor text is all “dog training tips”, Google will see that as suspicious, and may very likely de-rank your site. So, you need to find a balance. 10% – Brand Match – Bills Dog Training Tips (if your site is billsdogtrainingtips.com). Note that if your site is dogtrainingtips.com, then “Dog training tips” is both an exact match AND a brand match. The percentage of use is just a general guideline. Don't stick to this religiously! Also, expect this to change as Google changes their algorithm! These percentages just emphasize that you should not be using exact match anchor text most of the time, and you need to diversify. In planning for my half marathon race, I was able to look at the training plans and related goal pace of other runners in order to set a realistic pace for myself. You can do the same when planning your anchor text strategies. Why not look at the top ranking sites in Google for your keyword, and see what type of anchor text they are using? Let's say we are trying to rank for the keyword, “dog training tips”. If we do a quick Google search, you will see that dog-obedience-training-review.com is ranked #1 and dogtrainingtips.com is ranked #4. Lets take a deeper look at the anchor text that these sites are using. Overall, you can see that the #1 site for “dog training tips” is only using exact match anchor text about 12% of the time and the #4 site in Google is only using the exact match anchor text around 7% of the time. This certainly tells me that if I were to enter this market, I would want to stick around 10 or 15% of the time using exact match anchor text. Then I would vary it with similar percentages for partial and URL match. Hopefully, this short exercise gives you a clear idea of how you can take the strategies of your competitors and apply it to your own anchor text goals. In wrapping up, I think its important to emphasize that each niche could be different. Some niches may have sites ranking with heavier keyword anchor text usage, and perhaps you can follow their lead on that. But in general, I think its now important to not overuse your keyword too often if you have control over it. Building sites is like running a marathon, don't go out too quickly to race to the top of Google. Set your goals, look at the strategies that work for your competitors, and develop a plan to rank long term. Who knows, maybe you'll set a personal earnings record with your well-paced link building plan! Do you have any strategies that you would like to add to the discussion? Leave a comment and lets discuss! Congrats on the well run race. That’s a huge accomplishment. In high school I ran cross-country and the best mile I ever ran was a 7:10 and averaged a little above that. But I never placed very well. I wish I could do that today! Anyway, I completely agree in that anchor text can be so crucial to your process. I built a ton of sites pre-panda with hardly any thought towards the anchor text. Once panda hit, I was smacked down good. I had way too many links with the primary keyword. I’ve learned my lesson and I’m doing a much better job now with my new training site. Thanks for the thoughts and guidance! Interesting. The percentage is a hotly debated one I’m sure as people are trying to guess what Google’s going to do next. My thinking would be to keep the percentage of exact match anchor text really low. Another good reason for an exact match domain. I had, frankly, been doing this all wrong and just recently began to implement a more focused strategy for Anchor Text. and in the past like a year ago you said you will try some ecommerce ….please do that. and share the proggress. you might even use ppc. and ecommerce is a safe thing for ppc aswell as seo. my wife quit her job . com can teach you about what you need to know. and last but not least tell us about your amazon niche sites! please….thanks so much! I believe the 10% on exact is a fairly good number at the moment. If you hit a niche where other people are using a higher number i would not adjust upwards to meet them as there are so many reasons they may be ranking their. Medium term keep it safe or better still get away with no links. I do think Matt Cutts comments recently were designed to scare (especially as he retracted them in part) but there can be no doubt that were no going to return to the “old days” prior to penguin, so a safe strategy is probably wise. Hey Steve, I agree that keeping a lower amount of keyword anchor text is probably a good idea even if others are using more; at least to be safe. Congrats on the half marathon Spencer – that truly is a great win for you! This site is gold for a newbie like me. Great useful content. Thanks for the great post on link building, I had an idea that you should mix up the anchor text but this article just brings it home. Thanks Jay, glad you love the site! Congrats Spencer, that’s a pretty sharp pace! Penguin was all about anchor text diversity and with rumblings of another update on the way soon your article is very timely, many thanks. I’m running a test at the moment using no exact match anchors at all, just very natural looking links e.g. http://www.keyword.com or click here etc. I am however using my keywords in the same sentence as the link as I have a hunch Google is counting surrounding text. The results have been quite encouraging so far but probably too early to tell. MB – I think you make an important point: linking from relevant content is also more critical as well. If you link from an article using common phrases to what you are targeting, it just makes sense that link will be more relevant and valued. Hope the experiment continues to go well; something to think about for sure. I’d be interested on how you came up with some of those figures/% ? How many sites did you examine? Did you attempt to classify them as Natural, Lightly SEO’d and Heavily SEO’d? Have you considered that as G is able to identify content/site types, it may have separate patterns for different site/content types? Further – you may want to factor in a little more than just the Link Text. Context/Surrounding text may be worth consideration. The type of page/site the link originates on may hold influence in regards to the Link Text as well. You are absolutely right that context and surrounding text should be related. However, since this post was laser focused on anchor text; I dug deep on the anchor text topic. And the percentages, are not meant to be followed exactly (as strongly mentioned in the post) – using your competitors as a guide is much wiser…which is why I went through 2 examples in depth. Good job on the 1/2 marathon! For anchor text I have adapted a 1/3 – 1/3 – 1/3 approach because it is easy to outsource. I think your approach would get closer to the “ideal” backlinking profile my systems are not set up to be able to control tightly enough what my team is using for backlink anchor text. My instructions to my team are to have the anchor text be as follows…. This 1/3 – 1/3 – 1/3 approach keeps it easy to follow for my team building links. I know you outsource so was wondering how do you control what anchor text is left? Thanks for this quality information Mr Spencer, i have a question for you although not related to this post before on building niche sites, i started this blog – howtomakemoneybloggingtoday.com, published 3 posts, built some backlinks with anchor texts- make money blogging, how to make money blogging and emmanuel uduezue, but my blog is not ranking for any blogging related keywords, please advice me on what to do to rank on search engines. Thanks for your assistance. Please reply me here via comments so that other bloggers in my ‘shoe’ can learn also. Thanks. Emmanual – you are targeting extremely high competition keywords, that’s why you aren’t ranking. However, if you want to get search engine traffic, I would advise targeting lots of “Long tail” keywords that are related to blogging. If this is a long term blog for you, I would continue to write lots high quality articles and focus on the blog itself. Then start networking within your niche as this can lead to quality links. (Much more could be said here…). This has been my thoughts exactly. As mentioned by others, there are several factors to consider when ranking. A good piece. I like the analogy with running. What I like doing most is careful, planned, best-practice linking to authority sites and blogs that are built to last. But there is a category of sites that can take a more bravado, reckless linkbuilding. For once because they are made for profit only, but also because they are great testing ground. Glad you enjoyed the running analogy 🙂 . I agree that different types of sites will require entirely different link building plans…all depends on the purpose of the site. This series of Link Building articles has been very informative and the timing has been great. I’m just starting to link build to my blog and i’m enjoying these articles. I’d like think if you have a long term outlook and use a natural looking approach to link building you’ll eventually get noticed by the search engines.Thanks Spencer! Best of luck with your new blog; really hope the content here helps out! Reposting this a different way. 90% of the Anchor text is Keyword. As mentioned, different niches will have differing anchor text usage. That’s exactly why you look at your competitors and the very reason I went through the exercise of showing you how to look at your competition. In general 10% is a good way to not get penalized, but perhaps if everyone is using 90% anchor text in the viagra niche, then you can be more aggressive. This example proves exactly why I did this post. The point was – look at your competitors and follow their lead. That’s why I even did the analogy of running and formulating a plan – to drive this point home. Thanks for the supporting example! Spencer do you think link building is still critical to rank your sites in Google do you think? What if I was to create a really quality website that is the ultimate source in a particular topic and built zero links to it. As far as Google is concerned that is a “natural site” that will possibly get natural links. Isn’t that a more safe option? I believe that is what Fraser did from the guy you did a podcast with about the universe. Basically I guess I should be asking do the “ups” surpass the “downside” of building links to your website. Getting slapped by Google sounds horrible so building a site slowly and taking more time seems like a very solid option compared to ranking quickly and then one day possibly getting slapped even if you did the “perfect” link building strategy and losing everything you worked so hard to create in the first place. if you do things like that, how google consider your content as hi quality? if you targeting a competitive phase, you will never get high ranking without backlinks. well, if you don’t want build link, then you might build a really high quality website with tons of content, then you will get some long tail keyword traffic. Yes, I still think linkbuilding is critical to ranking in Google. You can go pure white hat and not build any links. I have never built a single link to NichePursuits.com, but it ranks really well for lots of terms because others link to it on their own. However, for niche sites, you usually aren’t going to get anyone linking to you naturally. They need some help :). So, I have both types of sites; some I build links to and others that I don’t. You have to pick a strategy that works for you. Trying to write “epic” content, promoting it to others, and waiting for them to link to you is definitely a valid strategy. It’s what we do on our main site, what Spencer does here, etc. The problem is this: Let’s say I have an ecommerce site focused on ski boots. It’s not likely to have the kind of content that blows people away. It’s not likely to go viral or to encourage a bunch of people to link to my site. I see how writing great content, sitting back and waiting for the links, etc. would work for a guy like Fraser and his site…but I don’t think it would work for mundane niche sites. 71%+ are exact keyword anchor, but this site ranks well for a long time. I think you missed the point MU. The point is that every niche may be very different – that’s why you look at your competitors. Nice post,I think looking at what the high-ranking websites are doing is smart – it means less work and experimentation and you save time. Concerning the link anchor text ratios,dont you think that achieving the right ratio (the one that doesnt make google suspicious) also depends on how many links are indexed? Sure. But you never know which ones will get indexed and stay indexed right away. So stick to your plan and then re-evaluate over time as you have something to look at (an live link profile). What I’m wondering with the recent Google updates is how much emphasis is placed on the quality of the links pointing to your site? We can sit and endlessly debate the required %age split of anchor texts, but if Google has placed a much higher emphasis on higher quality backlinks then this debate may well be moot, as irrespective of anchor text quality, Google has given your niche site a slap anyway, because of the %age of low quality links…. Low quality links won’t get you anywhere. Nice article, so much to consider. It’s difficult to say the least to keep abreast of The Google. 1) Changing ALL controllable back links to straight URL’s. Didn’t worry about percentage. 2) Removed all internal anchor text links, changed to “recommended posts” or “Related posts” with straight URL’s underneath content. 3) Created Social Media profiles with “exact keyword” in the names of the profiles. Did a little activity. They came right back. A few others are being stubborn, but seem to be nudging upwards. Thanks for sharing what’s worked for you Jeff! Wouldn’t this be an automatic flag for overoptimization? Very informative post Spencer! Better to put this in practice to avoid Google penalty. Great post and insight on link building. I certainly feel that it is a great idea to keep these “rule of thumbs” in mind when doing anchor text linking. I personally use to think way back in that day that the word that was going to be used as a link, HAD to be directly related to the action/topic. For example; “E-mail me if you have any questions!” The old me would think I had to use the text “e-mail” as the hyperlink, but in this example, in today’s back linking world, it would be more ideal to consider using the text “any questions,” instead! Things are certainly always changing– anymore, I just go with what feels natural. I’m a strong believer in that as long as I am providing epic content, solving problems for my audience, and giving 120% on everything I produce, everything else will fall right into place! Thanks Spencer for this cool post on back-linking. My 2cent is that if one is into building Micro Niche Sites, they don’t usually need a lot of links to rank. Lets say one is only Building 50 – 100 Backlinks per site , I would say using your main keyword + Searches related to your keyword + Google suggest Keyword in building your backlinks has worked best for me. Main Keyword should take 30% and The other keywords can share the 70% of the links. One thing , try building links to all your post. This was SUCH a helpful article. knowing how to navigate your way through Google is not easy, and these tips should be taken into account by every internet entrepreneur if he’s looking to master SEO. The interesting thing is the that Adsense Flippers aren’t building ANY links right now to their sites…I find that quite amazing. 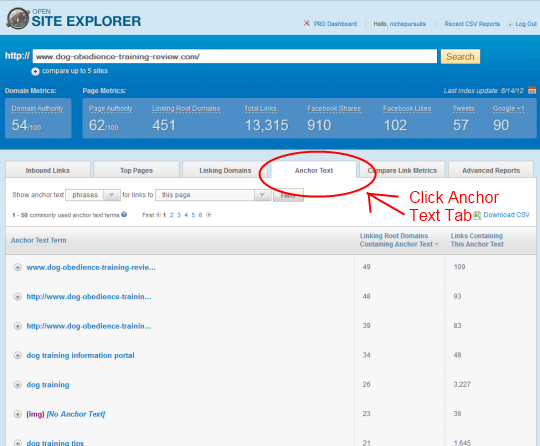 We had an anchor text related problem with our website, with over 60 % of the linking text being a key search term. Still trying to sort out the mess created by an SEO company. I was a bit confused on anchor text variation but after reading this post all the doubts have been cleared for sure. But i wanted to ask if we want to rank a site for short term say like a week or so then can we be a bit aggressive with the same exact anchors?? 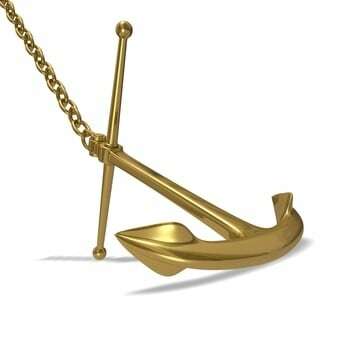 I would never get aggressive with anchors anymore.